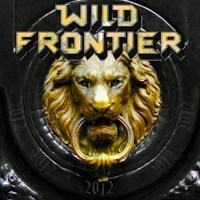 WILD FRONTIER releases their fifth album since 1994, one with several meanings to the title. The title actually implies both the birthday of their vocalist Jens Walkenhorst, but also impending doom as 2012 has been prophesized to happen this year. Firering on all six, the five-piece; Jens, vocals/guitars, Mario Erdmann, bass/vocals, Thomas Ellenberger, keyboards/vocals, Sascha Fahrenbach, drums/guitar and Nico Fahrenbach, drums aim to convince with this slice of melodic hard rock. But alas, this is not what I expected. There is a lot of melody here, loads of flat drums and an overall sound that seems wafer thin. The vocals are mostly good though, and the basic ideas deserve a better faith. The finest moment is probably the MAGNUM-remisiscent “Why Are Good Things too Hard to Find”. It has a nice touch, a good feeling and a cozy slow mid-pace. Runner up is probably the BON JOVI-ish “Favorite”, with strong competition from the better sounding “Long Gone” - or the happy-go-lucky “It´s All Up to You”. But the execution of these fine ideas is lame, or maybe even deplorable. I really feel for these guys, because they are not talentless, they are just victims of circumstances.